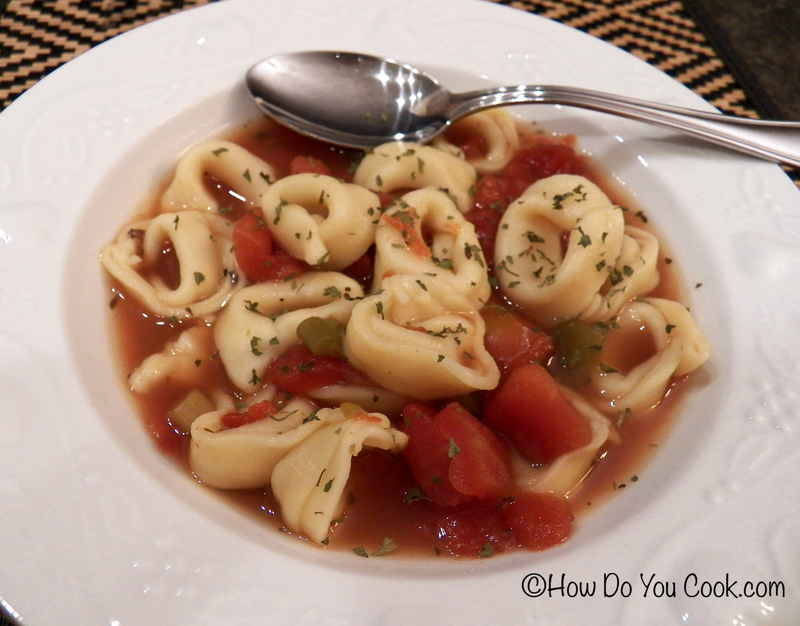 For day 12 of Soup Month 2014 we used our handy slow cooker to make this hearty Italian Tomato Tortellini Soup and the results were delicious. If you're in need of a fast and easy "go-to" recipe for a weeknight dinner, this is the one. With just a couple of simple ingredients, and a few hours to slow cook all of the flavors together, this soup tastes like something that must have taken hours to prepare, and it did, but the slow cooker does all of the work for you! The slow cooking allows the vegetables and spices to blend into a delicious and flavorful broth, then the only thing left to do is add the frozen tortellini during the last hour of cooking and dinner is ready. Serve with a loaf of crunch bread and a side salad for a complete dinner. Enjoy!! During the last hour of cooking, add the tortellini to the pot, cover and cook until the tortellini are tender, about 60 minutes, stirring once after 30 minutes. Enjoy! !